At two MARINe sites, we have been provided with the opportunity to study the natural recovery of an intertidal community following extreme disturbance events. In 1997/98, powerful surf caused by a strong El Niño event removed huge sections of reef (up to 17m x 5m) at Stairs, a Central California region site. 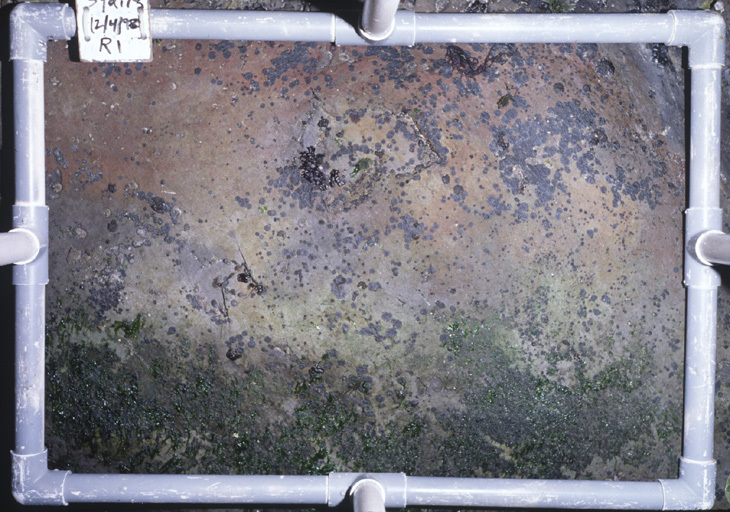 This massive disturbance event left several large, newly exposed areas of bare rock, within which we established “Recovery” plots to document community succession in the mid-intertidal region. Nearly all succession studies are done in artificially cleared patches which, because they are usually small relative to the size of the reef, often recover via encroachment by surrounding species. Because the newly exposed areas at Stairs were so large, they were likely to recover via colonization by propagules and thus had the potential to develop into communities quite different from surrounding, undisturbed areas. 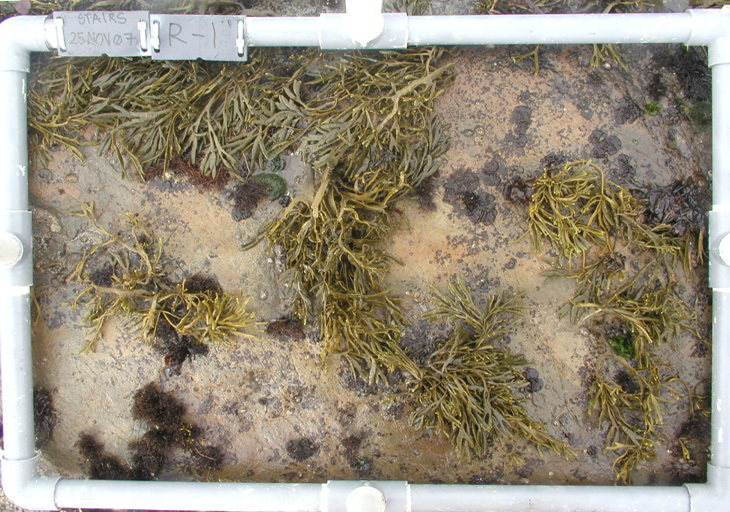 Eight recovery plots were originally set-up, but four have been lost over time due to additional large-wave events that have removed more sections of reef. Two recovery plots were also established in 2003 at Sandhill Bluff, another Central California site, where an area of mussel bed (3m x 2m) was cleared when a section of rock exfoliated. Monitoring recovery from natural disturbance events helps us to better understand patterns of community change in the rocky intertidal.